The AIDS Red ribbon with a safety pin and message to wear it to make the difference; advertisement by the Victorian AIDS Council/Gay Men's Health Centre. Colour lithograph, 1993. [Victoria, Australia] : Victorian AIDS Council/Gay Men's Health Centre, 1993. Red Ribbon Awareness AIDS. Wear the ribbon. Make the difference. 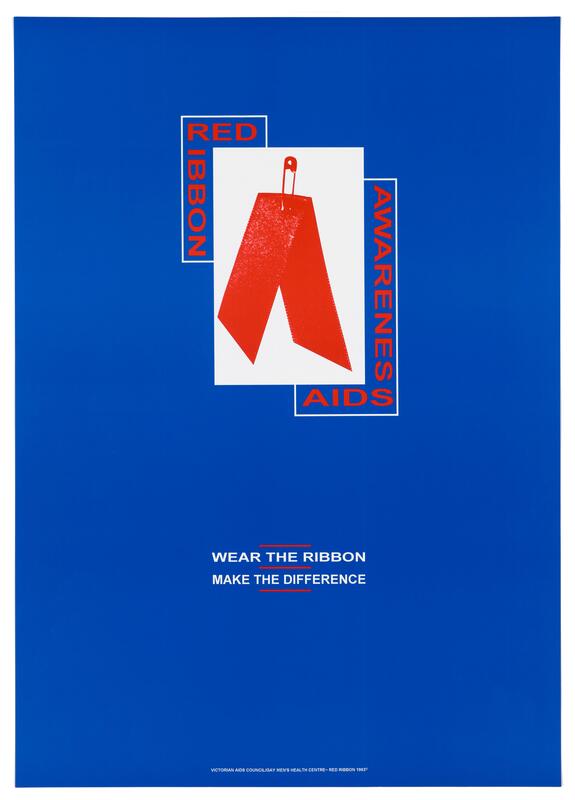 Victorian AIDS Council/Gay Men's Health Centre - Red Ribbon 1993 ®.